Our wine list is now available and we’re sure you’ll love our new selection. After months of research & tasting wines from across the world we identified what we felt would improve our list and more importantly what you, our customers would like. One of the new additions is Caves Road Cabarnet Sauvignon-Merlot from Australia. A blend of 86% Cabernet Sauvignon and 14% Merlot, sourced from vineyards in the northern part of Margaret River around Wilyabrup where the lateritic gravel soils produces Cabernets with a fine structure. The grapes are harvested separately, and undergo a long, cool fermentation allowing the flavours to build, but still preserving the plummy red fruits of the Merlot. A short period of contact with French oak softens and rounds the tannins. Well textured with a soft finish, the Cabernet contributes mulberry fruit, bay leaf and notes of chocolate and orange, whilst the Merlot provide flavours of black plum and violet aromas. 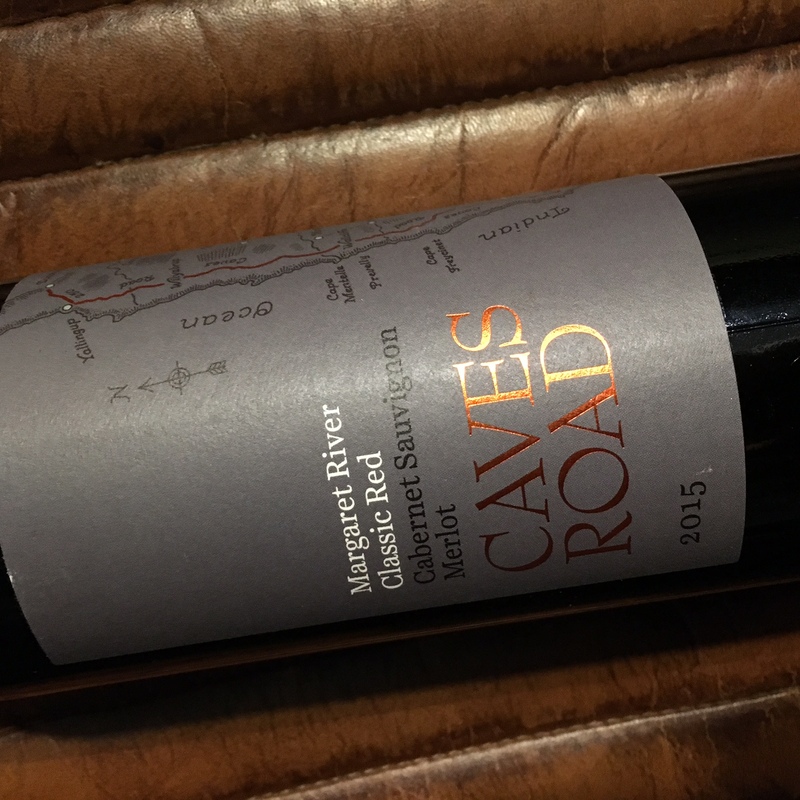 Named after the 350 caves that were formed about a million years ago along an old limestone ridge, Caves Road runs through the heart of the Margaret River region and the many unique microclimates that are ideal for growing a number of classic grape varieties. In the north, the lateritic gravel of the soils near Wilyabrup are renowned for excellent Cabernet Sauvignon and Merlot grapes; where the Indian and Southern Oceans meet, racy Sauvignon Blanc and fine Chardonnay can be farmed. It is not a surprise then that Caves Road Vintners often use the road, bordered by magnificent gum trees and wildlife and never far from the cooling breeze of the Indian Ocean, to source grapes for their wines that express both the typicity of the region and the variety. The winemaking team operates under the tutelage of Larry Cherubino. During his career Larry has been head winemaker at Houghton as well as a travelling consultant. He has designed vineyards and wineries and worked overseas in New Zealand, USA, France, Italy and South Africa. He has been nominated Best Young Australian Winemaker twice by Decanter Magazine and nominated as International Winemaker of the Year by the IWSC. Come & enjoy our new wines to accompany your tasty lunch, dinner or by the bar over our grazing board dishes.